This rice is produced in one of the highest quality production areas of Italy. 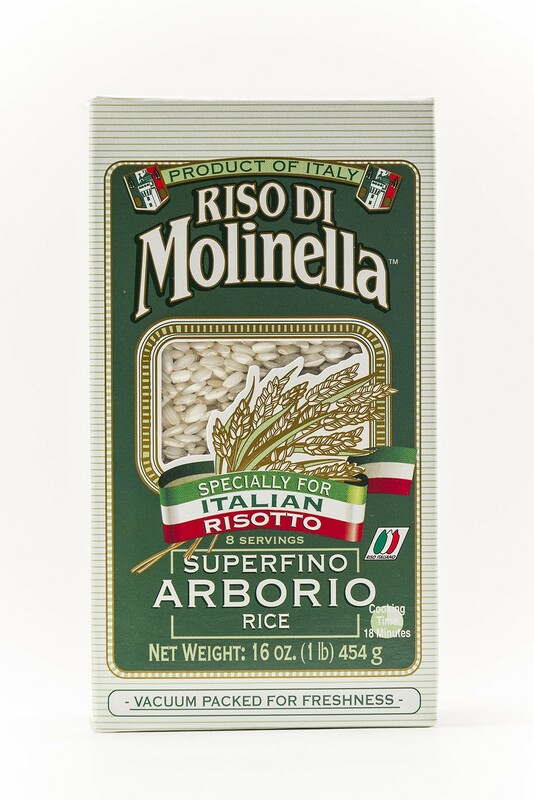 Arborio is the risotto rice "par exellence". It is eye-catching because of its big and lovely grains. It is the most loved by Italians. During cooking, the heat penetrates first the most external part, while the nucleus (rich in starch, the pearl) remains "al dente". The high starch content allows a good final "whisking" to be obtained. Arborio rice is cholesterol-free with only a trace of fat. It is low in sodium. Arborio is also gluten-free and non-allergenic. It is a complex carbohydrate which means that it is genuinely good for the body, and it is easy to digest. It adds fiber to the diet and its protein content is superior to other cereal grains.